This grape crusher destemmer machine is specially used for the winery to process the fresh grapes, absorbing France and Italy technology. It can separate grapefruit from the stalk, remove the stem, crush and convey grapefruit pulp, ideal equipment for the small and medium-sized winery. 1. Quantitative spiral delivery. 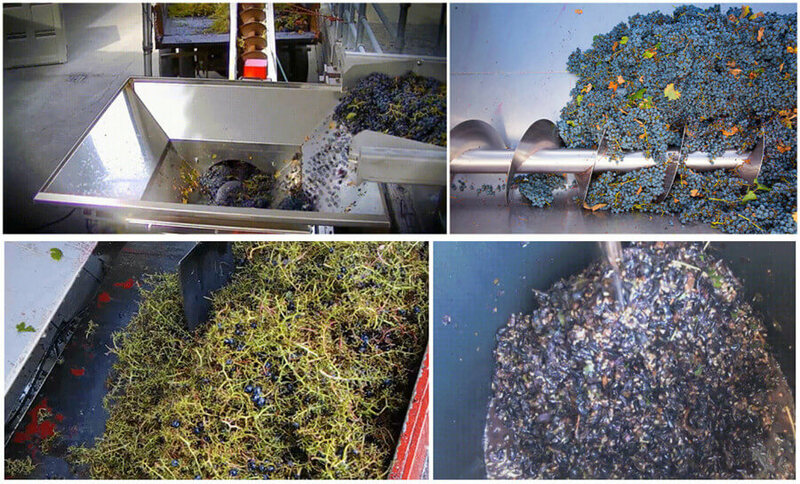 The fruits are firstly destemmed, then crushed into fruit pulp. 2. 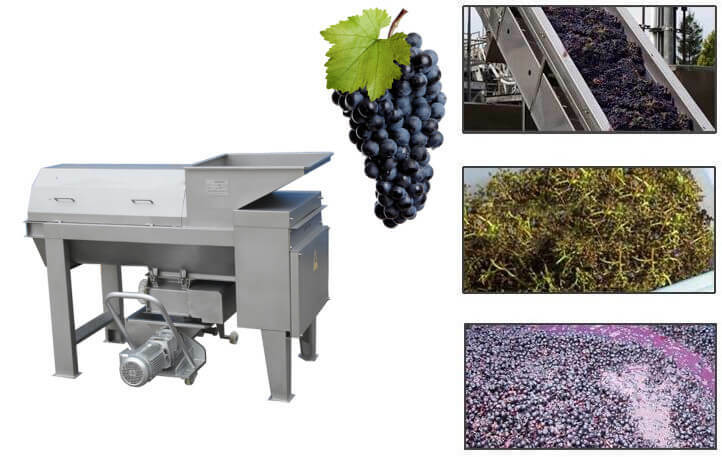 The rotary sieve is long enough to process various kinds of grapes into pulp. The discharged stems are of little grape flesh. 3. The crushing roller is made of non-toxic rubber, sanitary and easy to clean. 4. The whole machine is all made of high-quality stainless steel. 6. This unit is lightweight and easy to handle yet large enough for a small commercial winery. 7. Depending on Circumstances most crushers will remove about 85% of stems. ☀ Reduced Risk of Heart Attacks: A recent survey showed that drinking grape juice (especially Concord grape juice), considerably cuts down the risk of any form of heart disease. It facilitates the clotting mechanism, thus reducing the free circulation of blood. ☀ Improved Brain Function: grape juice improves various brain functions like memory, coordination, and strength. This has been supported by a study conducted at Tufts University, which showed improved brain function among people who regularly drank a glass of grape juice. ☀ Immune Booster: grape juice acts as an immune booster and thus keeps various diseases and infections at bay. It increases the overall strength of the immune system and enhances resistance against recurrent diseases and infections. It is also a good solution to persistent fatigue and weakness. ☀ Anemia: grape juice is an effective remedy for anemic patients, especially women. However, they should refrain from drinking dark grape juice and settle for a light version instead. This is because dark grapes contain a chemical, which lowers iron levels in the body.